Identity theft sounds like a joke until BOOOM! You get robbed. Getting $2,000 stolen right from under your nose has to be the worst thing ever. What is identity theft? Identity theft is the deliberate use of someone else's identity, usually as a method to gain a financial advantage or obtain credit and other benefits in the other person's name, and perhaps to the other person's disadvantage or loss. How/when can identity theft occur? 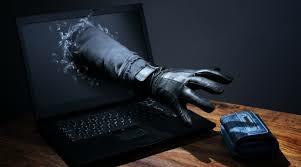 Identity theft can happen to anyone is he/she is not careful. 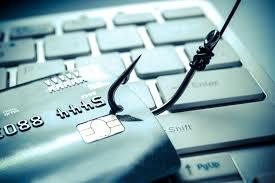 Some ways identity theft can occur are: buying things online from a suspicious website, losing a credit card, putting a social security or license number online. Consider using a virtual private network, which can give you the privacy of secured private network. One day not so long ago there was a young teenage girl with a debit card. This girl, we’ll call her Mircasha for now, decided that it would be a good idea to go to the mall with her debit card in the POCKET of her RIPPED jeans. She goes to the retail store Garage to buy a new shirt. She picks out the shirt she wants to buy and proceeds to the checkout. Finally, it's her turn to pay. She reaches into her pocket and of course, her card isn’t there. She runs out of the store like a chicken with her head cut off, freaking out because she can’t find her debit card. She looks everywhere, but finds nothing. She goes home and is surprisingly calm. The next morning she goes on to her Bank of America mobile account and finds a $2,000 cash withdrawal. Mircasha nearly faints. Long story short, she ends up calling the bank and having to cancel her card and not go shopping till her new card came in the mail. The lesson learned here is that you should NEVER put your card in your RIPPED BACK POCKET!